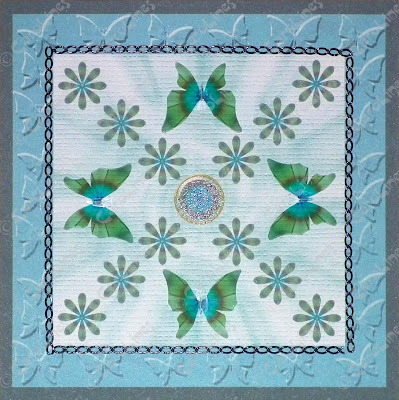 Card 13 using the new Rainbow Butterflies Digikit. This card uses Rainbow Butterflies set 9. 1: Create a dark turquoise square approx. 13 cm x 13 cm. in your graphics programme. 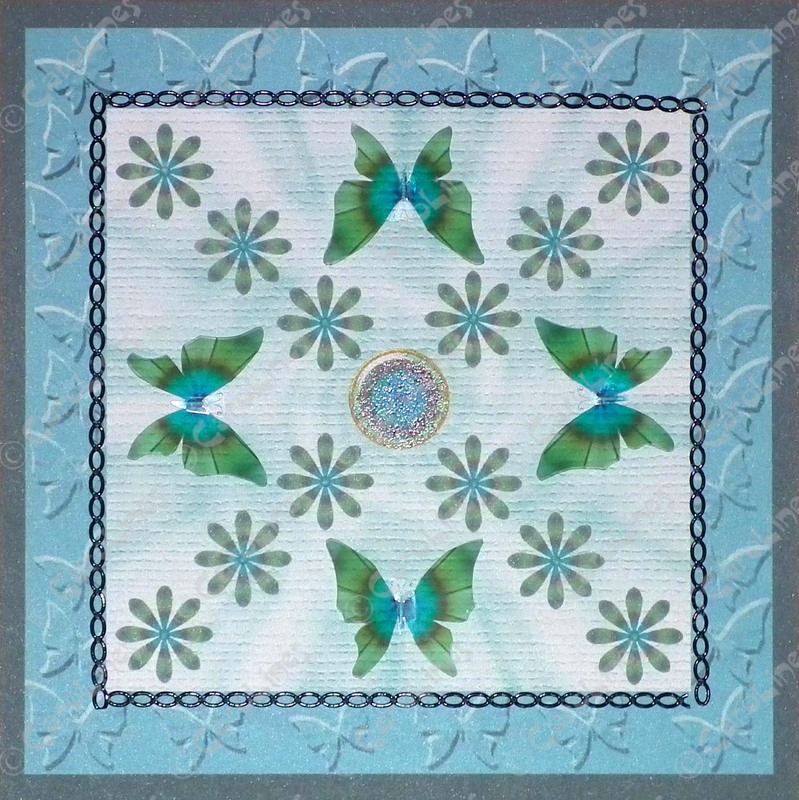 2: Import the embossed paper, re-size and position it over the turquoise square. 4: Import the button, re-size to approx. 1.5 cm diameter and position in the centre of the card. 6: Print your design on to good quality card. in between the flower lines. 8: Remove the card so you are left with just the butterflies and print the 4 on to acetate. 9: Cut the butterflies out and glue to the card. 10: Add peel-offs, glitter etc. if wished.